As coalition government talks in Greece falter under disagreements over austerity and bailout terms, journalist Panagiotis Sotiris tells RT that the country is now actually choosing between austerity and democracy. ­Sunday did not bring any solutions to the stalled negotiations between the country's four leading parties to form a coalition government. On the contrary, as the radical leftist Syriza party pulled out from the talks, the situation has become only more complicated. 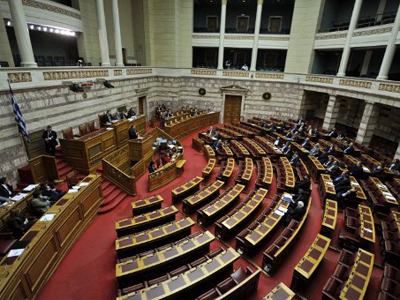 The remaining three parties (the socialist PASOK, conservative New Democracy and the Democratic Left party) have until Thursday to agree on a cabinet, or the country will once again go to the parliamentary poll. Syriza leader Alexis Tsipras later told a rally in Athens that his party would not help build a government set to continue the austerity course. Greece is suffering severe budget cuts in return for $310 billion in rescue loans from the European Union and International Monetary Fund. The belt-tightening measures include slashing pensions and salaries in the public sector and repeated rounds of tax hikes. "Our people, with their stance and their vote at the ballot box, showed them (the EU and IMF) that it will not be led voluntarily and willingly to catastrophe. The Greek people will not voluntarily commit suicide," Tsipras said. 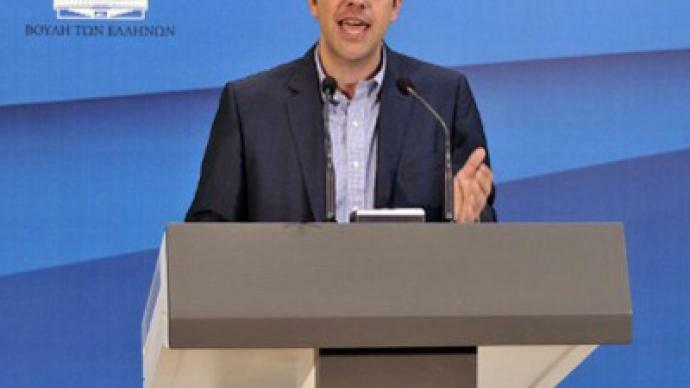 Tsipras insists that the terms of the bailout be cancelled. RT discussed the Greek government crisis with Panagiotis Sotiris, a journalist and lecturer on social and political philosophy at the University of the Aegean. RT: Are all hopes for a coalition gone? Panagiotis Sotiris: Greece went through a political earthquake in the last election, and austerity policies were totally rejected in what has been the biggest loss [for] mainstream parties in recent history. 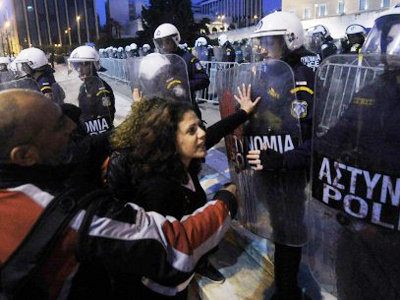 On the one hand, both the Greek political establishment and the European Union want a continuation of austerity. At the same time, it’s not possible to actually have a legitimate and legitimized government that would continue austerity. RT: Do you believe new elections would resolve this deadlock, or prolong it? PS: The only way to solve the problem is to have a radical change in policies – austerity cannot continue. In a way it is a choice between austerity and democracy. People have rejected the terms of the bailout agreements, they have rejected the terms of the loan agreement. They want a radically different policy. That’s the problem. 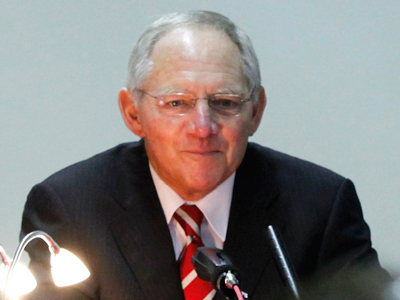 RT: Der Spiegel, Germany’s most influential magazine, is now listing reasons why Greece should leave the Eurozone, while eurocrats say the euro would survive Greece’s exit. How likely is that now, do you think? PS: I think the question is not whether or when Greece is going to exit, but how. 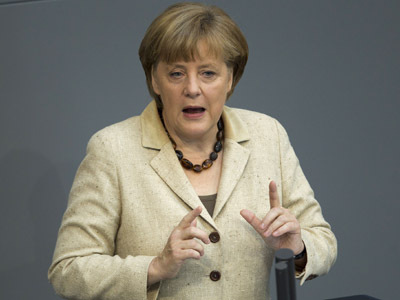 I think that both default and an exit from the eurozone are now practically inevitable. So the question is, on what terms? I think it’s much better if a default and an exit from the eurozone takes place in a democratic and sovereign way – at least according to the will of the people – and not in the sense that I think certain circles in the European Union are currently thinking. That is, a punitive exit from the eurozone, as if to punish people for rejecting austerity. RT: But what about the warnings that your country would be jumping from the so-called frying pan into the fire? PS: Well, we are [in] the fire. How [much] worse can it get? We are in the fifth year of recession, we have unemployment over 21 per cent. There’s no exit strategy and people are in despair. This is what happened in the last election. This was expressed, this social devastation took a political form, so it’s much better to actually think about a radical change in policy. RT: There is no precedent for leaving the eurozone. What kind of political consequences could Greece face? PS: What kind of government and what kind of policy is this exit from the eurozone going to be associated with? I think that what we need is a government that must be based on a broad people’s movement, on all those people who have struggled in the past two years. And gain their support, not simply in the name of an economic policy, but also in the name of a radically different social situation. That means a call to people to actually reconstruct this country in lines totally different from current, aggressive neoliberalism. RT: It is what the people in France have asked for as well. But can you make the sums add up? Can you make it any better at the end of the day? PS: Most of the funds that come, according to the terms of the bailout packages, are being used to pay back loans. Even after the so-called PSI (Private Sector Involvement), we’re still in this vicious circle of debt and austerity. So I think a default on our own terms – that is, an immediate stoppage in debt payments – a radically different policy in taxation, a new emphasis, not on the markets, but on public sector involvement, and a collective effort to reconstruct our collective productive capability, is a difficult but much more helpful path for this country. Otherwise, we are going to face social disaster one way or another. Either within the euro or outside the euro – without a radically different policy, it is going to be social devastation.